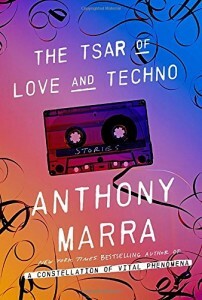 Ghostly images haunt Marra’s absorbing, capacious new novel – the floating hand of a ballerina whose body has been airbrushed out of history; two shadowy figures applied to a revered master’s painting of a field; and the face of an unknown man, added to historical artifacts, recording the aging likeness of a figure who has been scratched from every existing photo. This intricate, multi-layered work of fiction is in fact a sequence of connected stories, but reads like a continuous and marvellously integrated novel. It’s set in Chechnya and the USSR, from the 1930s to the early 2000s, cleverly linking time, history and above all the loyal relationships between two pairs of brothers. Marra casts a sardonic eye over the landscape of the failed Communist experiment, starting with the brutalities of the Stalinist era, while tracing the misery, degradation, warfare and desperation of survivors from Siberia, Chechnya and beyond. This is a political chronicle that delivers its blasted history laced with an irrepressible wit. But there’s plenty of tragedy here too, as the senseless waste and corruption of the Soviet and post-Soviet eras force children to betray parents and small town souls to seek survival in conscription and crime. Government censor Roman Markin, who opens the book, will suffer the same martyred fate as his brother, whom he could not save – senselessly murdered by a system freewheeling away from humanity. And decades later, in the polluted Arctic town of Kirovsk, Kolya Kalin’s love for his little brother Alexei will not rescue him from a dark descent from hope to extinction. 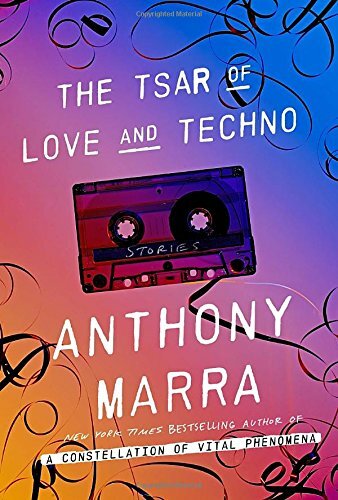 Generous and humane, this intricate, multi-layered work of fiction is a bold step forward from Marra’s warmly-received debut, A Constellation of Vital Phenomena, also set in Chechnya, also seamed with dark experience and the life force. In stretching wider – linking a sizeable cast of characters across some eight decades and connecting them with multiple themes – the author has moved into something more epic. The new novel may slip into romanticism on occasion, and may conclude with an ill-advised epilogue, nevertheless this is a substantial, original, beguiling work of the imagination by a young author of striking talent.